The Porters were happy to do a video testimonial! We had fun putting this together with them. As most of our clients, we become life long friends and an Apple Valley resource. Well, it is the middle of May here in beautiful Apple Valley Lake and we are JUST finally starting to experience some Spring-like weather. This means that we can open doors and windows and let the breeze infiltrate our lake home once more. 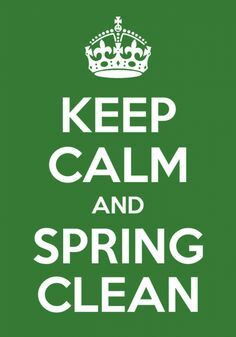 This also means that most of us have a few spots in our homes that need a thorough Spring cleaning. And with the Apple Valley Garage Sales coming up (May 27-28), you won’t have to throw EVERYTHING away and you can make a couple of extra dollars. In case you’re having trouble getting started, we’ve compiled a list of ten things you can do to effectively Spring Clean your lake home or at least get you started. ​Get rid of junk you DON’T NEED- And this tip is two fold: There’s trash and there’s treasure. If it’s trash, GET RID OF IT. If it’s a possible treasure to someone else, set it aside to sell it at a garage sale or an online site like Ebay. If it’s ruined or broken and can’t be fixed, toss it. Possible treasures to someone else might be old magazines (especially National Geographic), clothes, books, jewelry, memorabilia, old or unused electronics (Amazon.com and some other sites like Gazelle.com and Nextworth.com. Will actually pay you for your old electronics). Other items like old toys, games, and simple little nick nacks are wanted as well. DON’T FORGET ABOUT UNWANTED TOOLS! Wash your baseboards- Imagine all that gunk that has accumulated on the baseboards: old mop water, shoe scuffs, spilled drinks, food etc. This is like getting a pedicure-- most people won’t see it or notice, but you will and it will feel great. Magic erasers are probably the best to use on baseboards. And get this, you can buy them for a fraction of the cost at the dollar tree right down the street in Mt. Vernon. Clean the kitchen cupboards- This can be as simple as what you did for the baseboards. So stock up on those Magic Erasers. Wash the windows- And don’t just do the insides. Make sure you get the outside as well. If you have tall windows that you can’t reach or you just don’t care to even get into a project like this, Toth and Team recommends Mint Condition (419) 957-4663. Dust Dust Dust!- Dust all surfaces that you can. Remove items and get all the nooks and crannies. Don’t forget about the top of your fan blades. Those things can collect some major dust. A simple trick we learned a while back was to take a pillow case and actually insert the fan blade into the case and rub the dust off that way. You’ll save yourself an extra step by not having to clean up a table or floor full of fan dust. The pillow case makes it convenient by acting as a little dust catcher. Clean out Pantry and Fridge- That’s right! Make that stuff sparkle. But in order to do that, you need to remove all items and toss the ones that are past their expiry date. If you get confused by the “use by and best by” directives, check out this link for more details: the difference between use by and best by. Hand scrub the floors- Ok. You don’t have to be that crazy. But seriously; clean those floors better and more thoroughly than you have during the winter months. Wash the dishwasher- You heard me! Run a load without the dishes. But first, clean out the drain and make sure there’s no excess food in there. Clean out the microwave- Add some lemon juice to a microwave safe bowl of water and cook for 2-3 minutes. When it’s done, you should be able to wipe it clean with a rag. And no harsh chemicals! 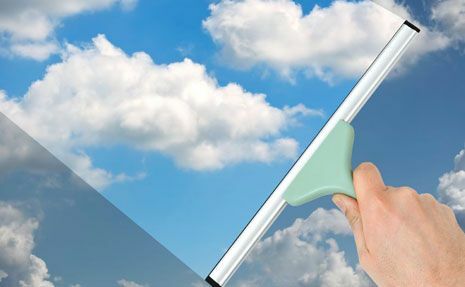 Have Fun- Cleaning doesn’t have to be boring or just plain drudgery. Slap on some tunes and enjoy making your Lake Home look its best. Do you have any tips or tricks? We’d like to hear about them. Put them in the comment section below! 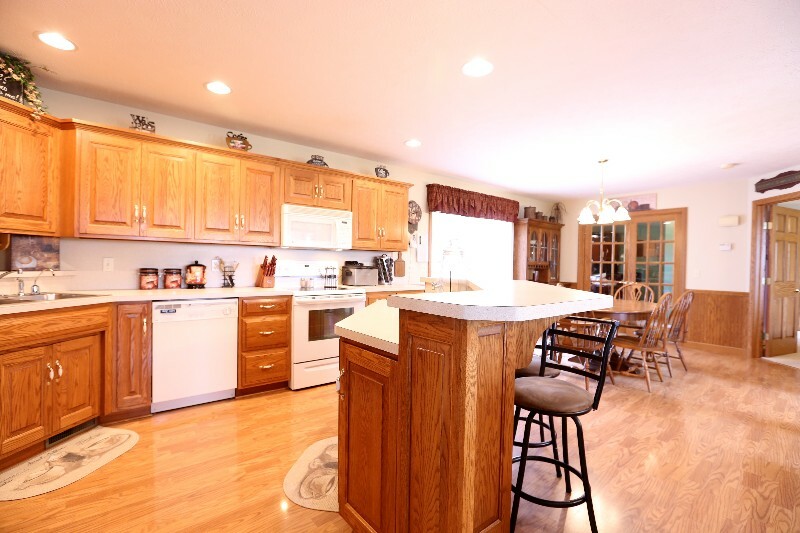 Super lovely Schlabach CAPE COD home on two lots at Apple Valley. Located directly across the street from the LAKE with WATER views. COVERED front porch for coffee and conversation. Open living, dining and kitchen for gatherings. Oak kitchen with BREAKFAST BAR. Dining with slider out to the back yard PATIO. 1st floor owner's suite with a huge 11 x 7 walk in closet. Owners LUXURY bath with jetted tub, double sinks and WATER CLOSET with shower. Off the owners suite and dining is a DEN with double glass doors. Could also serve nicely as an infant room. Large 1st floor laundry with sink and plenty of cabinets. 1 of the 2 half baths is on the 1st floor for guests. 2nd level has 3 LARGE bedrooms and 2 more FULL BATHS. One bedroom has its own PRIVATE BATH and two bedrooms share a Jack n Jill bath. 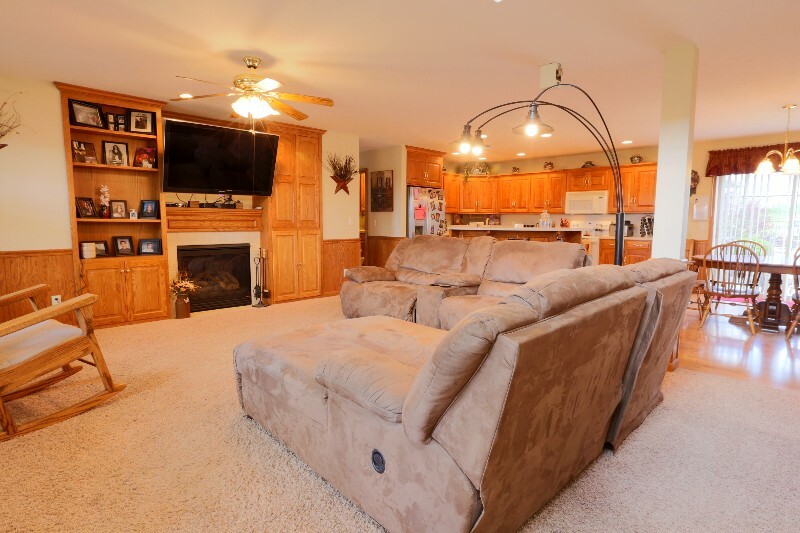 Lower level has a LARGE 26 X 13 finished room that could be a bunk bedroom, theater room or 2nd family room. Another finished 27X21 family room at this level as well. 23x14 unfinished room with the utilities-great for storage. Fantastic home with over 4000 sq ft offered at a fair price of $264,444. A loan professional can help you figure out how much house you can afford. Contact Toth and Team for our awesome Mortgage Loan Officer Referrals. Work with a knowledgeable Real Estate Agent, Like Joe & Sherrie Toth or one of their Buyers agents. That’s why it’s important to hire a highly competent real estate agent who knows the specific market. You want to make sure that the professional who you’re working with really understands what the market is like and will help you find the home that you desire. Choose Local. Someone that doesn’t have to come across town or counties to help you in the area you are looking in. How can you tell if your agent knows the market? See if they can provide you with a buyer’s market analysis. Ask them about the area and some details only a local would know. Or, simply ask them where THEY live. Is it in the area you are looking? If you love it, make the offer. Otherwise, that dream home may disappear faster than you think, especially if you’re buying in a hot market. The Apple Valley Lake market is HOT! 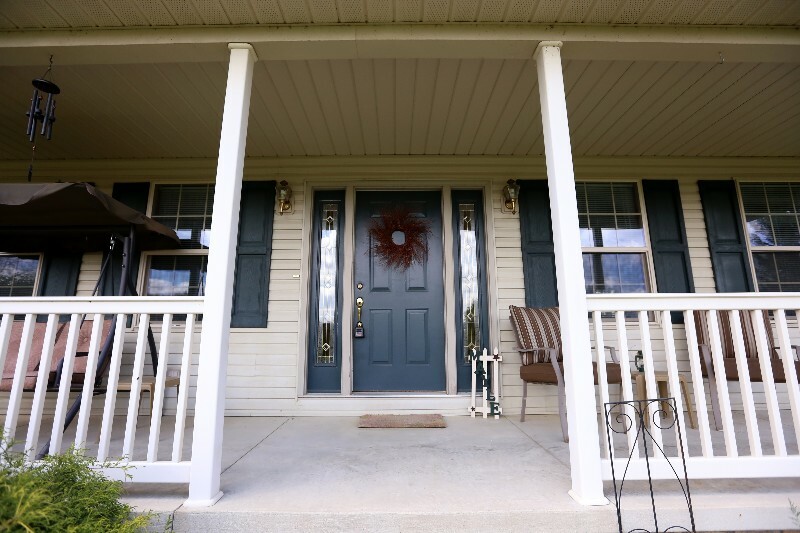 Looking for a home in our area? Let us help you find the home of your dreams. 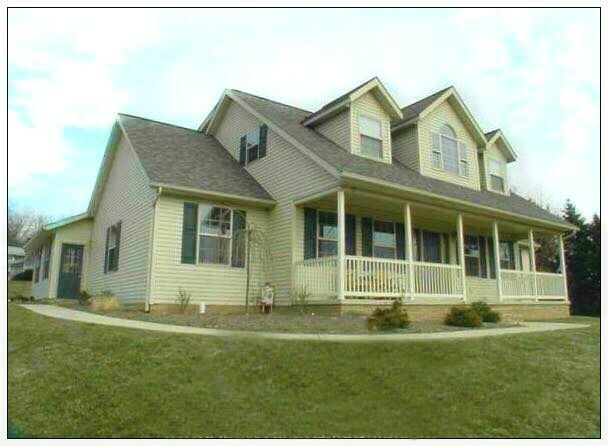 We’re well versed in the our local real estate market in Apple Valley Lake and The Knox County area! Spring is around the corner and that means we can watch that beautiful Apple Valley Lake fill up and dream of the beauty of Summer. One of the perks of cruising Apple Valley lake during the warmer months is looking at all the gorgeous homes that outline its perimeter. Knowing that folks are scanning your backyard gives you all the more reason to spruce it up and give it that “curb appeal” so-to-speak. Besides Pinterest and all those other fantastic information- spewing websites, one of the best places to visit is one of Ohio’s Home and Garden shows. Here, at these shows, you will find ways to make your home look its best. You might also be interested in innovative things such as green technology to enhance the efficiency of your Lake Home. Many home and garden shows have come and gone! In fact, some are going on NOW! Check out this list and mark one of the dates on your calendar! There you have it! If you find any more that we have not listed, comment the information below. Also, comment what you are looking for at these shows and anything new and interesting you may find after you attend.